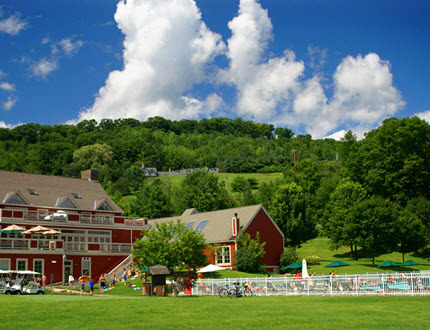 Quechee Village in the town of Hartford is well known as a resort community. The Quechee Lakes Resort Development has reinvented the former mill town under the enlightened regulations of a Planned Unit Development that used the principles of long-term land management, greenbelt areas and restrictions on use. There are two private schools in Quechee, a Waldorf Elementary School and The Mid-Vermont Christian School, in addition to a nearby public elementary school. Travelers and residents enjoy two championship golf courses, fine restaurants, and Simon Pearce Glassworks in the heart of the village. Below you will find all real estate for sale in Quechee, Vermont. Contact us if you have any questions or if you would like to schedule a showing. Search Smarter - Create an account to save your favorite Quechee properties and to receive email notifications when similar properties become available.